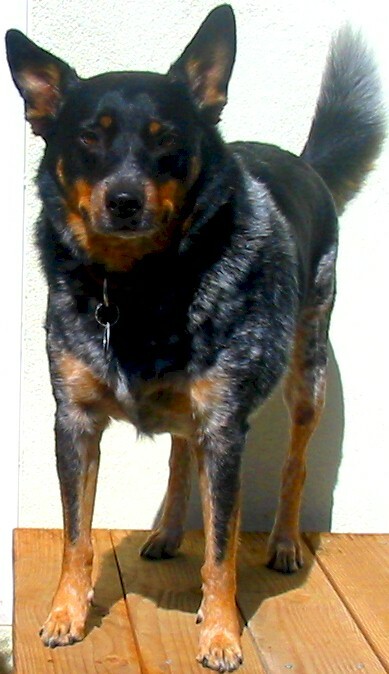 Happy is a Pomeranian and Hobo is (mostly) a “blue heeler” Australian Cattle Dog. The snapshots were taken on the steps leading to the “dog door” that is built into one of the patio doors. This is a south-facing door, and the guardians love to soak-up sunshine on the steps as they keep an eye on things so they can keep us advised of “unauthorized” behavior in the neighborhood, such as UPS delivery trucks. 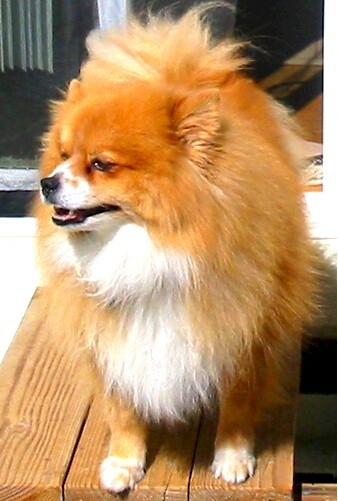 This entry was posted in Pets and tagged blue heeler, dogs, Happy, Hobo, pomeranian. Bookmark the permalink.